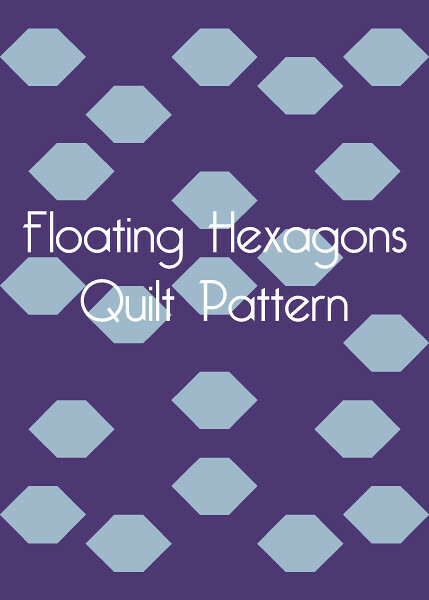 On Thursday I shared the launch of my latest pattern, Floating Hexagons. Today I'm sharing the three lovely versions my pattern testers created. Like my Petting Zoo version, Laura also chose to use a colorful palette for her hexagons. Anja chose this pink and red palette. 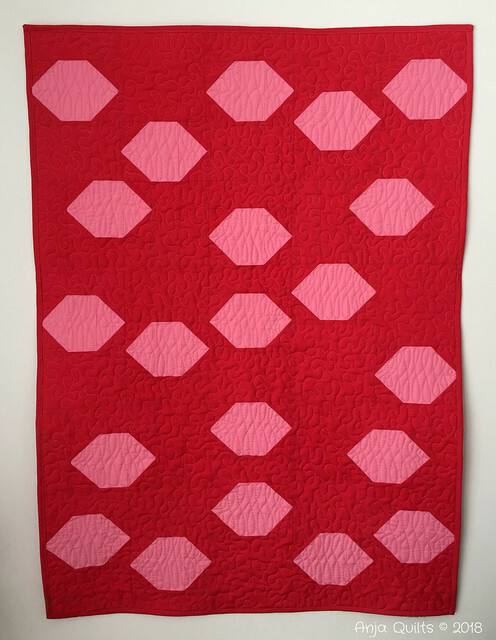 I love her wishbone quilting in the hexagons! 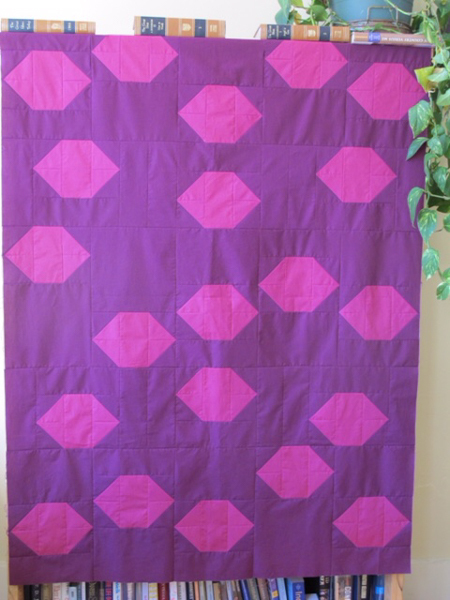 And I absolutely love the color combo that Mary chose, Kona Berry and Cerise. Baby: 30 1/2" x 42 1/2"
Lap: 45 1/2" x 63 1/2"
Throw: 60 1/2" x 84 1/2"
Thank you Laura, Anja, and Mary! Posted in Quilting. 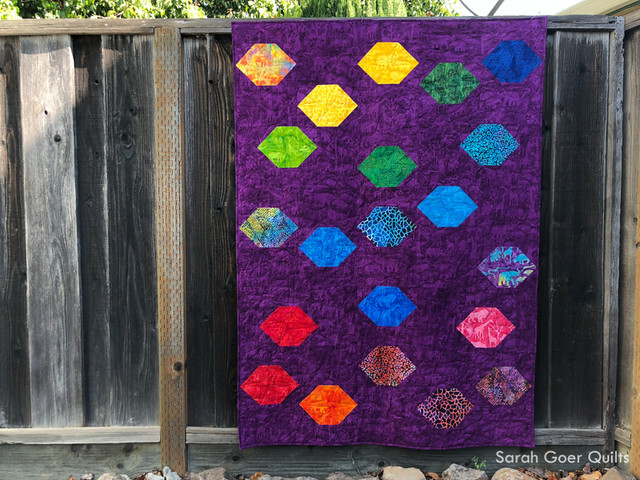 Tags: designed by Sarah Goer, finished quilt, Sarah Goer Quilts, tester quilts on September 15, 2018 by sarah. I am excited to release my Floating Hexagons pattern. I originally designed Floating Hexagons in 2017 and worked with amazing testers at the end of the year. It has been a long time coming, and I'm so pleased to be sharing it with you today. I was inspired to work with solids, and I wanted to work with a block-based design with a twist, playing with placement of my hexagons to create interesting negative space. Floating Hexagons is a beginner friendly block-based design in three sizes. Last month I shared my Petting Zoo version of Floating Hexagons. This variation features different fabrics in each of the hexagons. 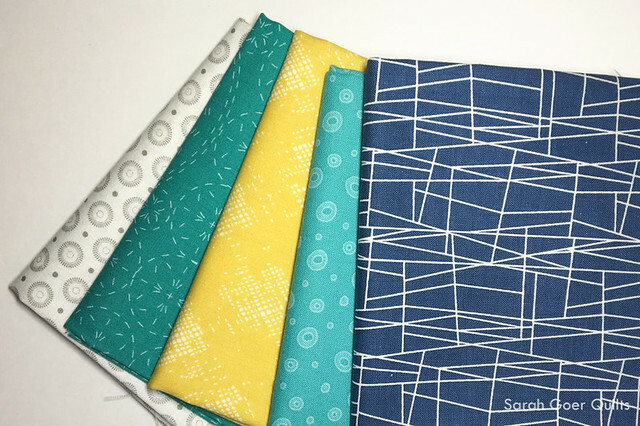 As a bonus, you can choose to make five blocks from the baby or lap size quilt to make a table runner, as I did for Modern by the Yard for my Fall Fleurish runner. A great big thank you to my testers, Anja, Laura, and Mary. (See their versions here.) 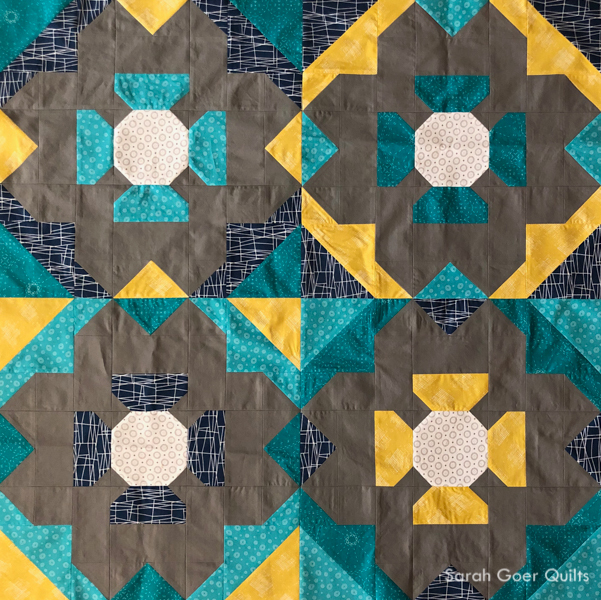 Since I chose to change the construction method of my hexagons after my testers created their quilts, I worked with Sarah Ruiz for technical editing. She was fabulous to work with. I appreciate her keen eye and I look forward to working with her again. Posted in Quilting. 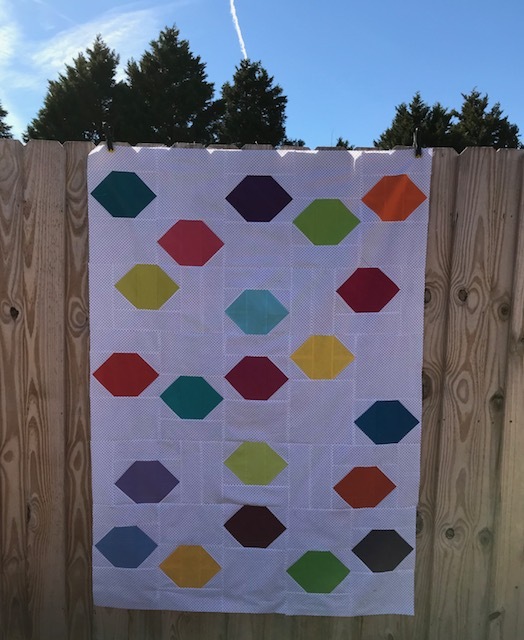 Tags: baby quilt, designed by Sarah Goer, finished quilt, lap quilt, quilt pattern, Sarah Goer Quilts, throw quilt on September 13, 2018 by sarah.